Rumours of the proposed law surfaced in early May, and immediately opposed by realtors, who believe that such an amendment to the law will serve as a deterrent for any investor to consider Belize as a potential option. According to a realtor who has been in the business for the past 17 years, 5% was already at the threshold of being considered prohibitive. He believes 8% will totally destroy the Real Estate market in Belize. Other realtors also speculate that with this increase, potential foreign buyers will seek to invest elsewhere in Central America or the Caribbean, where the cost is less. They warn that with the new proposed amendment, many real estate businesses may be forced to shut down because of loss of sales, and as such, revenue generated for Business Tax and General Sales Tax will be gone too. During the reading of the bill at the sitting, the Leader of the Opposition Honourable John Briceño opposed the proposal. “Once you start to target foreigners, it has a negative effect on the business climate in Belize,” said Briceño. “It also starts to create a level of uncertainty in the country, and in many instances drives away investors.” He further stated that by making such amendments, the government believes that they can collect more taxes, which could be a short term solution. However, in the longer run, the country will be losing even more revenue. Briceño indicated that government should focus on improving services at the Land Department, particularly when it comes to land evaluation and transfer of titles. Prime Minister RT. 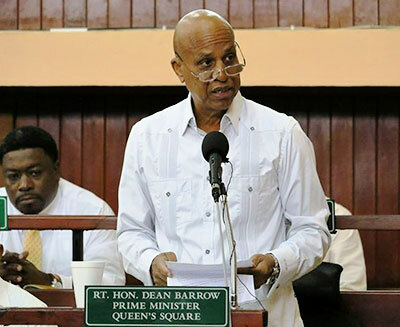 Honourable Dean Barrow acknowledged his statements. “Those points are well taken and we all concede that the valuation process in the Lands Department is too slow. You are right, if we are going to increase the transfer tax, even though it is only for foreigners, it is only fair that we do something about the system,” said Barrow. 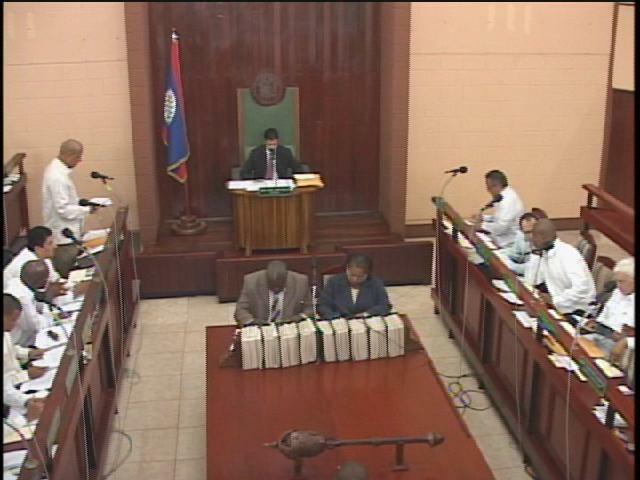 The Prime Minister then proceeded to explain the proposed increase in the transfer tax from 5% to 8%. “Regarding the proposed increase, there have been too many situations in which Belizean land is being transferred from foreigner to foreigner and when we checked, the land has not been developed,” said Barrow. “When that happens, the Belizean economy is cut out to an extent that is alarming because all the money business is done offshore, and the only thing we get from that transaction is the stamp duty.” Barrow admitted that the idea to raise the stamp duty or transfer tax may be far from being perfect, but the increase of the 3% on foreigners will still be debated for approval. Barrow is hopeful that the business community will understand the rationale of the government in its decision to consider the increment of this particular tax. However, veterans in the Real Estate market say that while tax increase for foreign purchases may be a strategy to curve fraud, they believe that it will only serve to increase clandestine activity. They claim that the Lands Department reviews purchases of land, and if the final price is not deemed enough, the stamp duty is allegedly increased and the buyer is forced to pay more. These allegations were not brought up during the House Sitting. The next step for the proposed additional tax will be a debate by the Senate, after which it will be assented or passed into law by Governor General of Belize-Sir Colville Young.